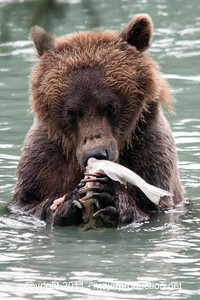 Back to eating that hooligan! 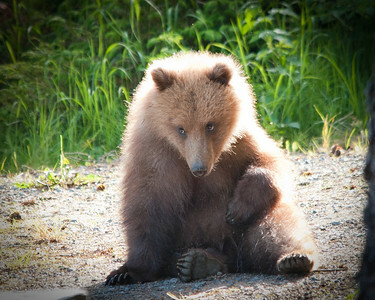 He stuck in his thumb, and pulled out a plumb, and said "What a good boy am I!" 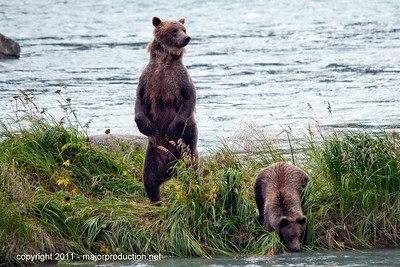 It was wonderful seeing BMJ on the river yesterday morning. 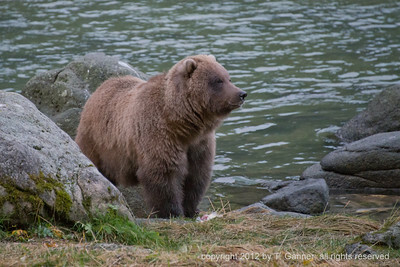 She is the grand dame of the Chilkoot, at about 25 years old. 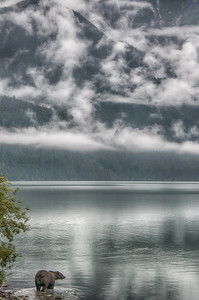 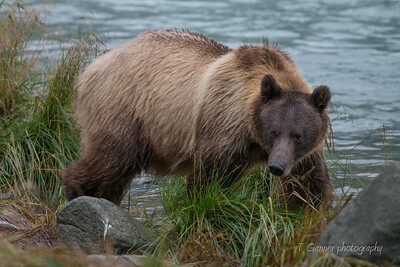 Early morning today on the Chilkoot River with the bear called Teddy. 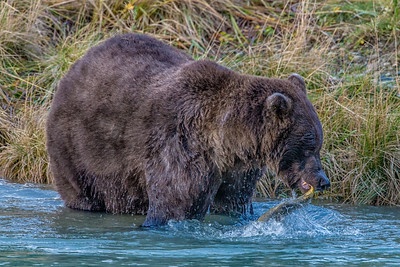 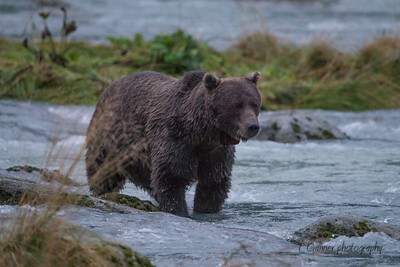 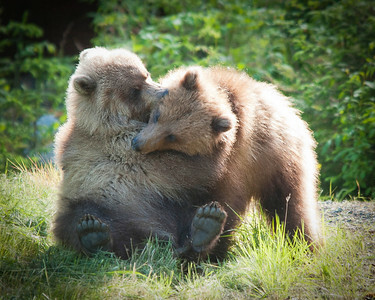 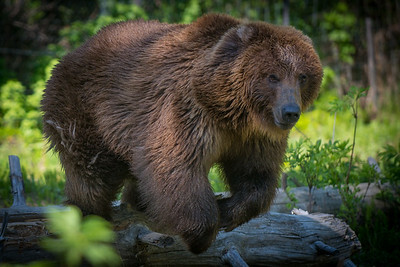 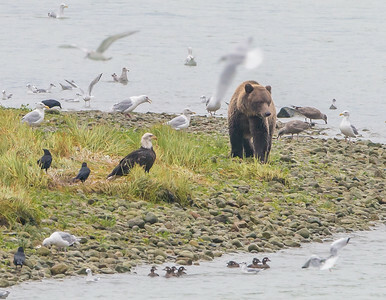 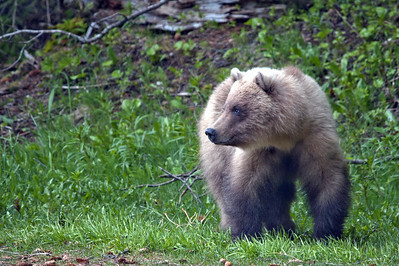 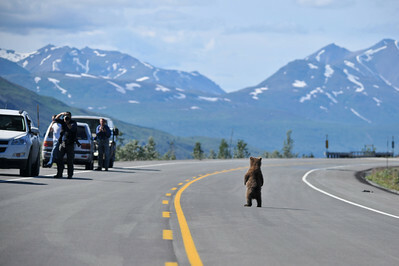 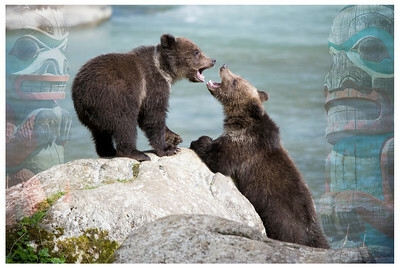 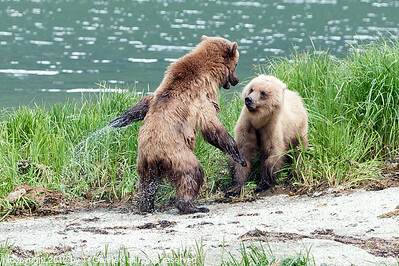 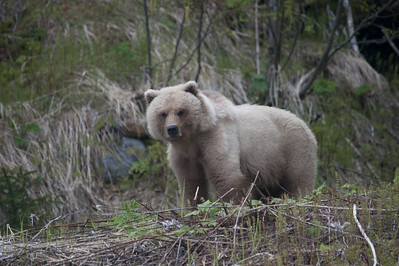 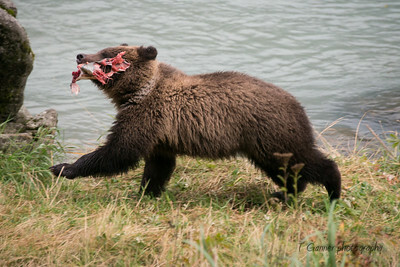 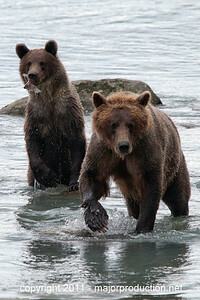 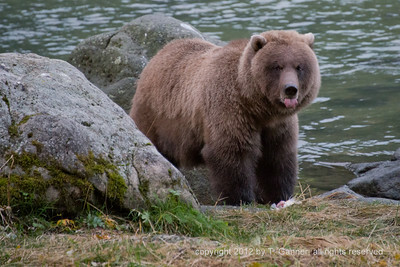 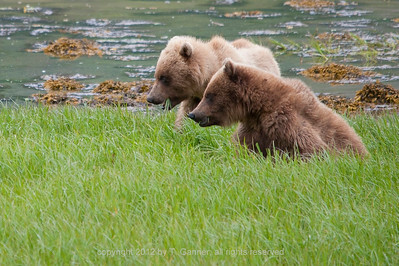 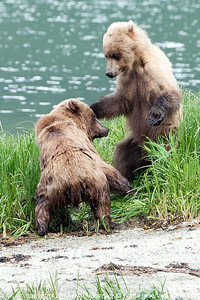 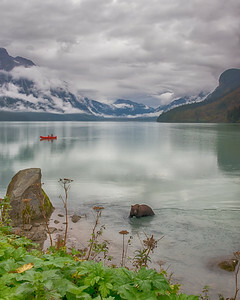 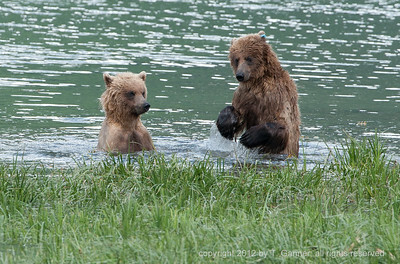 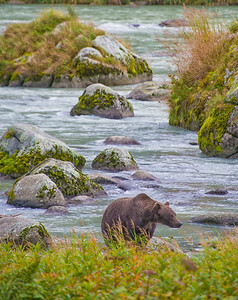 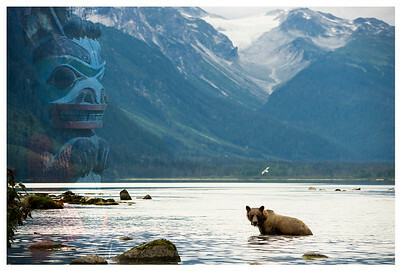 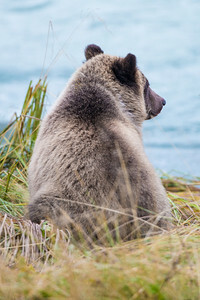 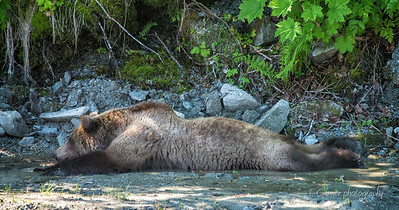 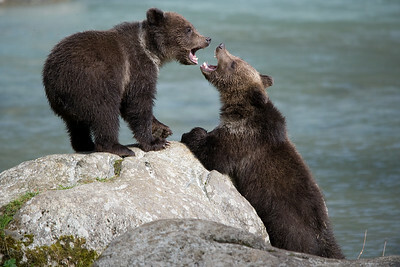 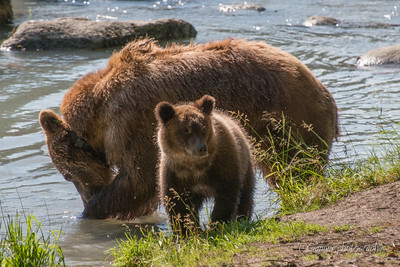 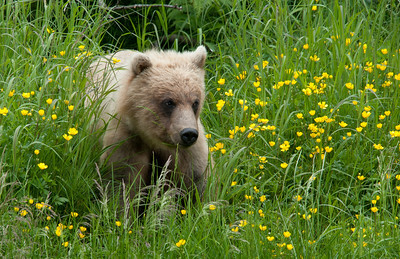 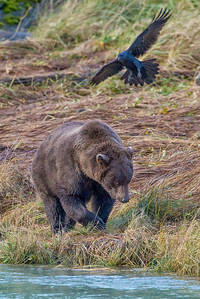 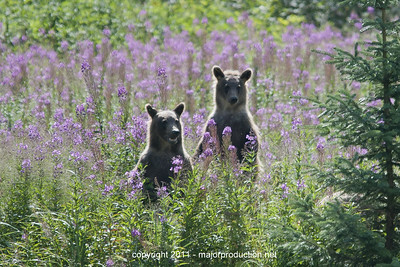 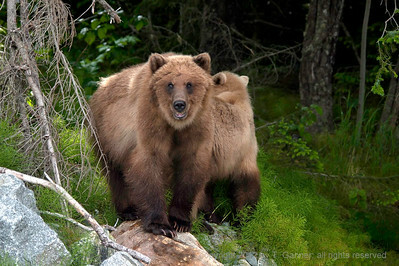 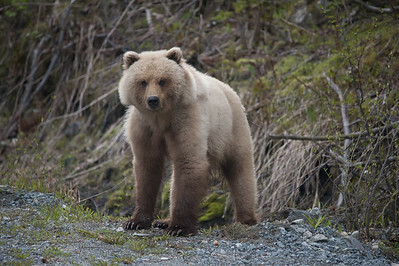 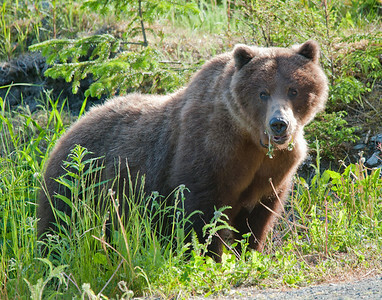 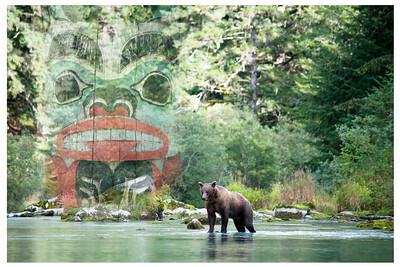 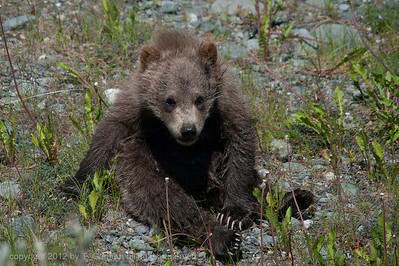 Sad news to report is that Teddy's spring cub was taken down by another bear within the last day or two. 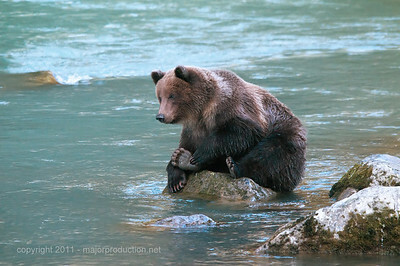 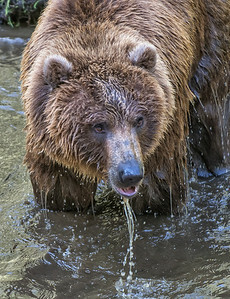 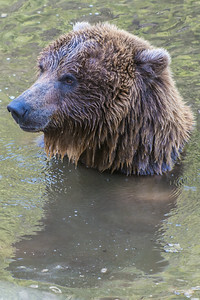 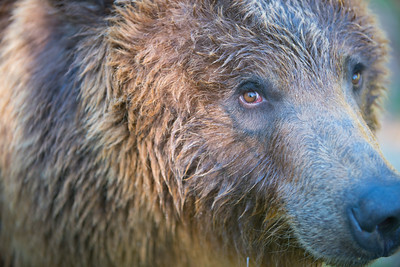 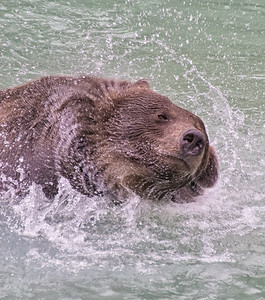 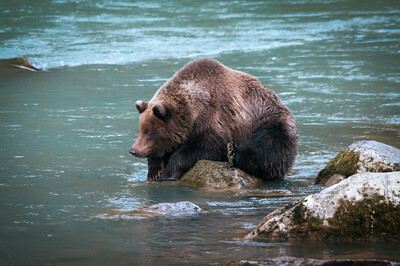 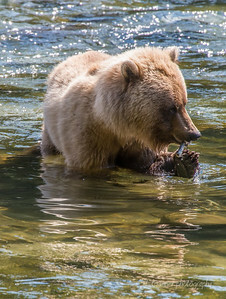 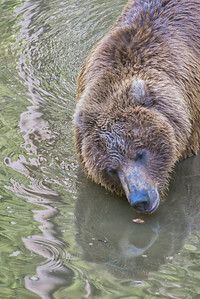 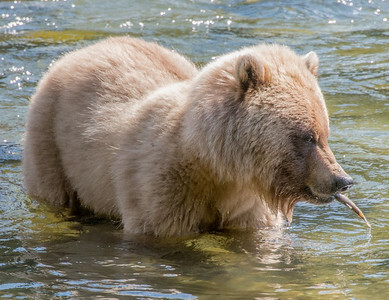 While a bear's sense of smell is 7 times greater than a blood hound, making it 2100 times greater than a human's sense of smell, an occasional bath keeps them from smelling bad.